Research shows that children learn to talk, read, and write through social interactions at home and at school, in everyday routines and activities. This video illustrates how all children, regardless of special needs, linguistic or cultural background, develop language and build literacy skills through interactions with teacher, parents, and providers. We are introduced to four families, each of whom draws from the strength of its heritage and addresses the needs and challenges of its children. School environments, ranging from a high school-based teen parent toddler program to private preschools to community-based centers for children with special needs, reflect the myriad ways that parents and schools can form partnerships that allow children to explore and learn. 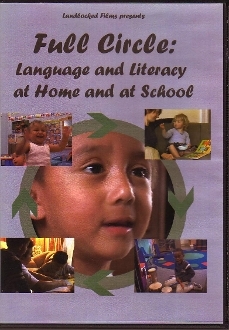 Co-produced by the Early Learning Opportunities Act, the University of Colorado, the City of Boulder’s Division of Children, Youth, and Families and Puentes Culturales.